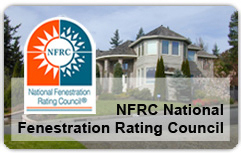 The Window and Door Manufacturers Association (WDMA) is a licensed National Fenestration Ratings Council (NFRC) Inspection Agency (IA). 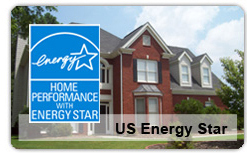 Gaining NFRC certification is a prerequisite for any member of the window and door industry seeking energy star labeling for their products. Administrative Management Systems, Inc. (AMS) provides cost-effective and efficient day to day administration of the WDMA / NFRC Certification Program. 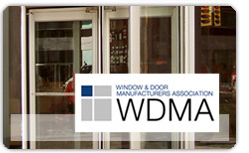 Participation in the WDMA / NFRC Certification Program is open to any producer or fabricator who manufactures windows, patio doors, side hinged entry doors and / or skylights in conformance with the requirements of the latest revision of all applicable WDMA/NFRC documents. Parties seeking to attain WDMA/NFRC Certification, through the WDMA/NFRC Certification Program, are required to enter into an agreement with both WDMA and the NFRC. Previous to certification authorization, computer simulation and thermal test reports intended for NFRC certification are subject to technical review. Upon successful completion of the technical review process WDMA / AMS will authorize certification of products specified in the computer simulation report, by releasing a NFRC Product Certification Authorization (CA). Additionally, auditors from AMS conduct annual in-plant audits at each participating production facility. 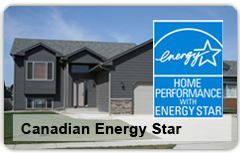 During each audit, certified products are compared against their computer simulation reports, and technical drawings, as well applicable CAs; to ensure that the products being manufactured each day are built and labeled to the same specifications as those products that were simulated and tested. Through successful administration of the WDMA/NFRC Certification Program, AMS helps your company bring credibility to your brand, improve customer trust, and potentially increase sales. AMS's partnership with the WDMA provides cost effective and efficient day to day administration of the WDMA Hallmark and WDMA/NFRC certification programs. WDMA staff and committee sponsor and direct the certification program, thus allowing AMS to focus on the immediate day-to-day needs of program participants. Each organization provides specific expertise thus expanding the resources available to the mutual clients of WDMA and AMS. AMS provides administrative and auditing services to the association sponsored product certification programs WDMA Hallmark, WDMA/NFRC, SGCC, and IGCC/IGMA. By the associations using a common service provider, this allows AMS to act as a third party administrator and provide single contact coordination to the certification programs and the program participants. As a recognized leader in product certification in the glass and fenestration industry, AMS provides administrative and auditing services to the association sponsored product certification programs WDMA Hallmark, WDMA/NFRC, SGCC, IGCC/IGMA and NACC. By the associations using a common service provider, it allows AMS to act as a third party administrator and provide single contact coordination to the certification programs and the program participants.